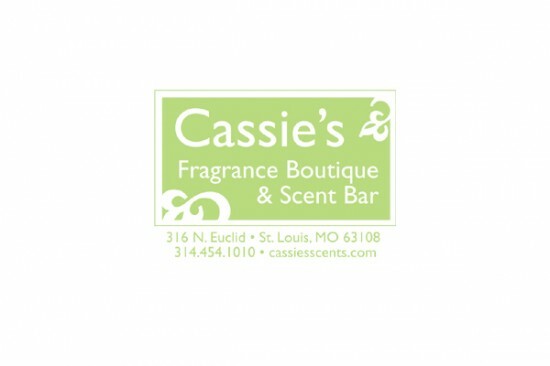 Branding and Identity: I designed the logo and branding identity for Cassie’s Fragrance Boutique and Scent Bar, an independent perfumery and gift shop in St. Louis. 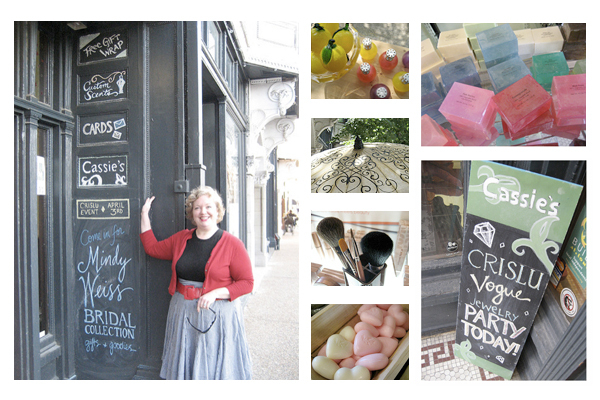 Store owner Cassie Buell had worked at the store for nearly a decade under the previous owner and developed a loyal customer following. Her name was featured prominently within the logo to celebrate her acquisition of the store, while assuring customers that she was still a presence behind the counter. 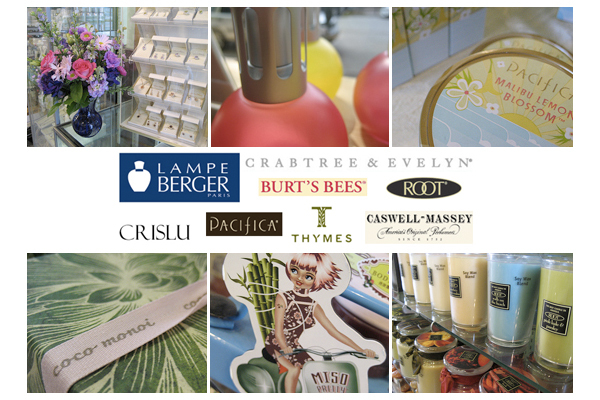 Botanical ornamentation and a neutral green were used to highlight the store’s main feature: perfume oils derived from natural florals and essences, which customers could custom blend into their own individual fragrance. 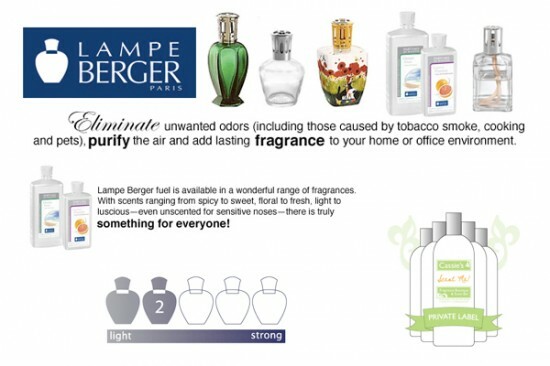 The ornamentation also suggested a theme of growth — of both the botanical and the custom blend as it evolved into a unique scent. In addition to branding and marketing, the logo was used on bottle labels. 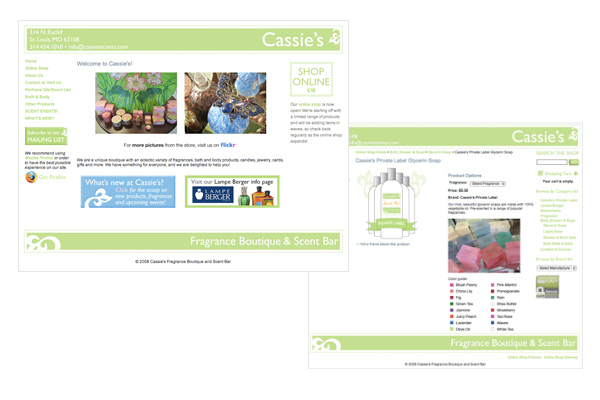 UX and Web Design: I designed and produced an e-commerce starter site for Cassie’s. Initial content and maintenance were provided, as well as initial social networking and online marketing efforts. Through e-newsletters and social networking, I helped the store find a successful online voice and broaden its customer base. Many small graphic elements were designed to make the website easier to use and to make complicated products easier to understand. 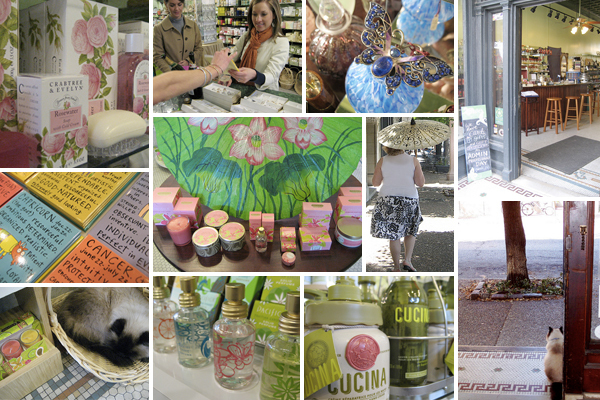 Photography and Illustration: It was my responsibility to showcase products, in-store displays and the unique atmosphere of this charming shop. From designing and drawing signage to Flickr photos to chalk illustrations on the sandwich board and wall at the store’s entrance, it was my ongoing challenge to emphasize and broadcast the personality of this neighborhood establishment.